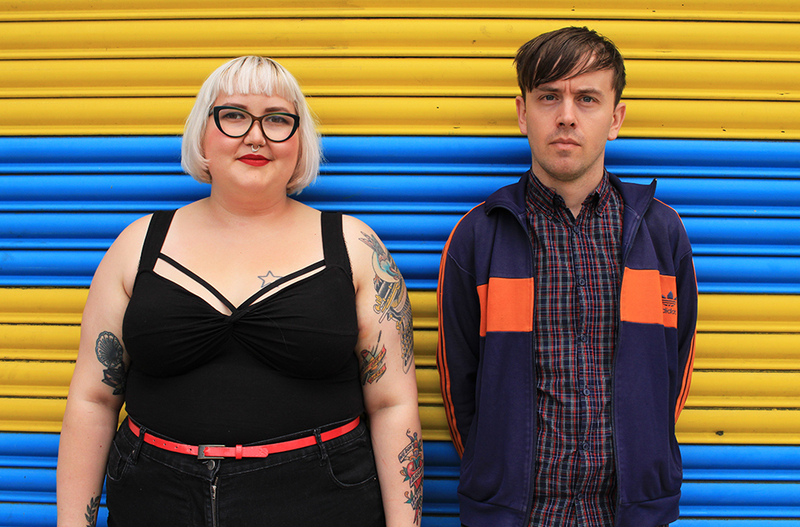 Last week I took some promo shots of my friends Kirsty and Aaron’s band Actual Crimes. They recently became a two piece after the departure of Lenny for a job in the US, but are hopefully becoming a three piece again in the near future. No expense was spared for this photo shoot, we bravely walked five minutes down the road to a brightly painted garage door, and devoted ourselves to posing for ooh, at least half an hour.